Neukonzeption und Umbau eines zahntechnischen Labors. Die Hauptarbeitsbereiche des Labors umfassen sowohl handwerkliche Tätigkeiten am Arbeitsplatz und in der Gipsküche, frästechnische Arbeiten am Computer und 3D Scanner sowie persönliche Betreuung von Patienten. In der Mittagspause essen alle gemeinsam und Abends oder an den Wochenenden finden regelmäßig Vorträge und Kurse statt. Replanning and new concept for a dental laboratory workshop. 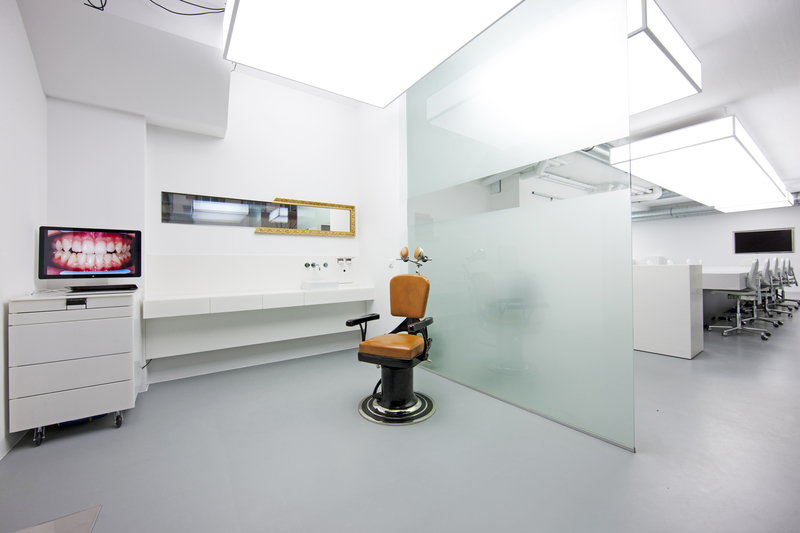 The new dental laboratory premises appear spacious, light-flooded and well-structured. Open spatial sequences and specially developed furniture promote transparency and communication as well as close teamwork. 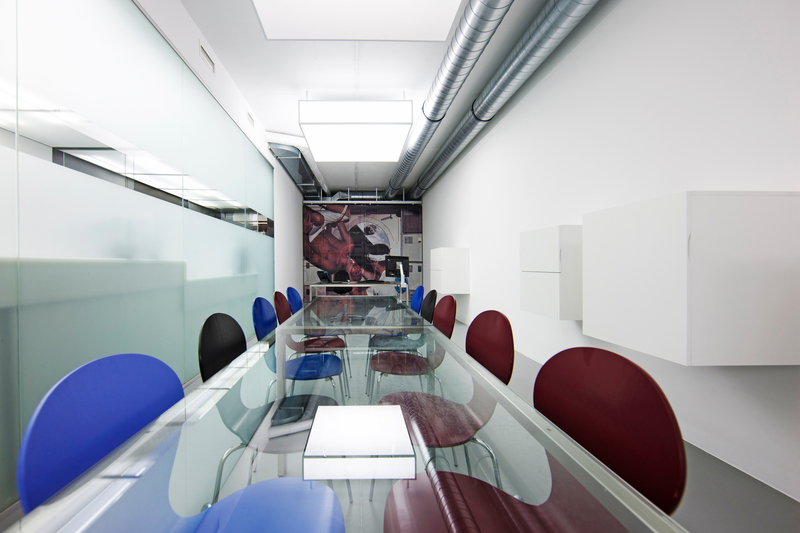 12 highly elaborated workplaces are combined at the large center table. A 3D-technology work area, a wet and a machine room complete the infrastructure. Patients are received in a separate area but still offered insights to the daily work flow of ‘teeth making’. 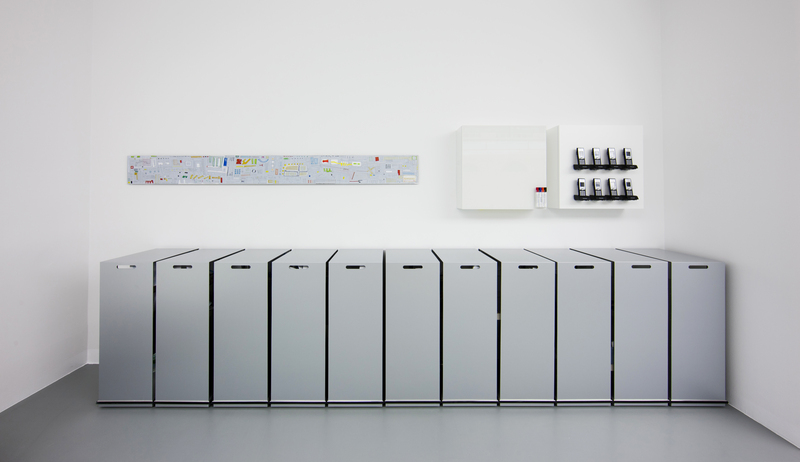 After work, the laboratory is set to standby modus and all work utensils vanish: monitors are retracted, work and tools rest in mobile file cabinets. 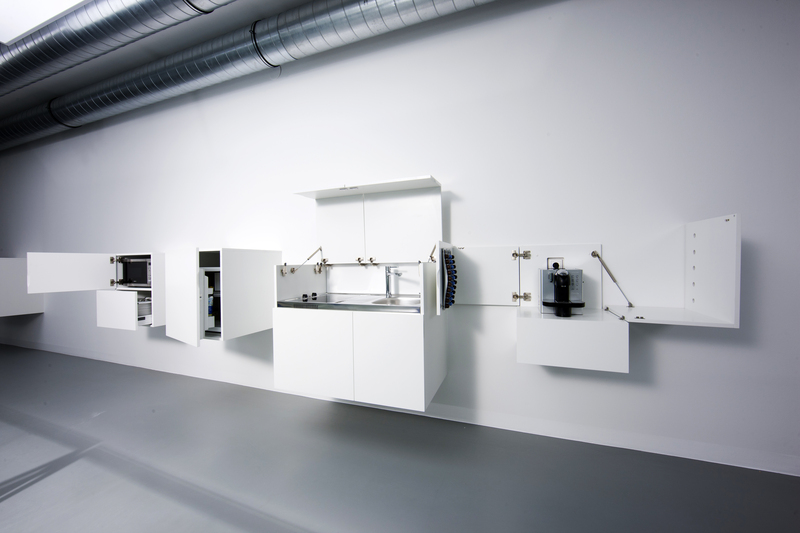 The kitchen is hidden in fold-away boxes. 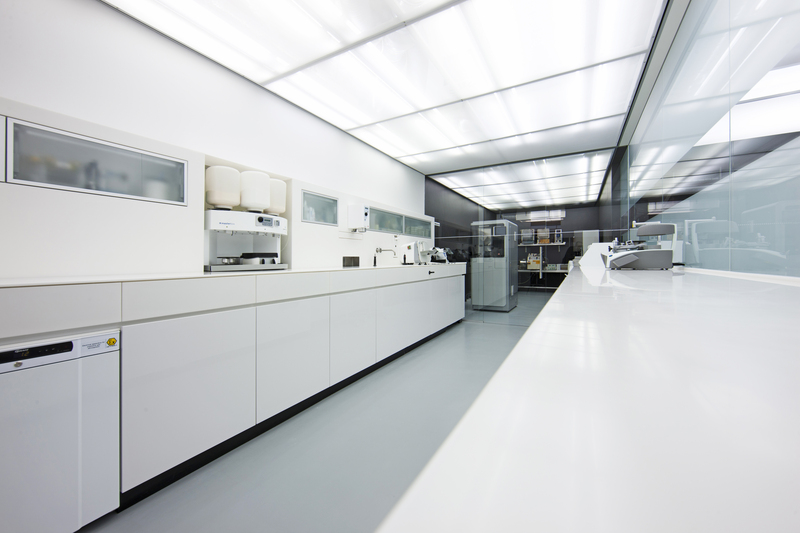 The laboratory not only offers modern workplaces, but also meets the claim to provide space for after work chats and advanced training courses. During lunch time the whole team eats together and in the evening or during weekends international dental experts give a talk to the laboratories local clients, which often fades into a decent after work party. All those various spatial demands are provided for by the open spatial interior and furnishing concept. Besides the spatial planning, the work flow was optimized.